Despite the wishes of those who would insist that sports remain both apolitical and apart from social events, there’s a long and distinguished history of Black athletes who used their exploits to aid the causes of social justice and equality. The same holds true for sports writers, both those who worked for Black owned publications and later others who were able to use platforms at mainstream papers and broadcast outlets. The color barrier in Major League baseball for instance was broken as much by the continual advocacy of such writers as A.S. “Doc” Young, Sam Lacy and Wendell Smith, while more contemporary types like Ralph Wiley, Larry Whiteside, Michael Holley, Claire Smith and Bill Rhoden have upheld that activist tradition through journalism. 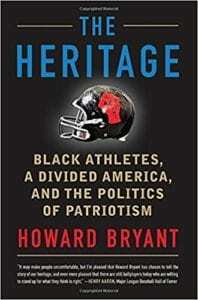 But Bryant’s latest volume “The Heritage: Black Athletes, A Divided America, and The Politics of Patriotism” (Beacon Press) moves beyond a single sport and instead offers a comprehensive and valuable examination of Black athletic activism going back across decades. It details the involvement of African Americans in multiple sports and their refusal to quietly sit by and passively accept injustice. While some of the names Bryant covers in “The Heritage” are quite familiar (Muhammad Ali, Tommie Smith, John Carlos), some others are much better known away from sports or chose not to get involved in working for change. For instance, while most folks remember Paul Robeson as a phenomenal singer and actor, he was also an All-American football player who faced extreme racism on the field throughout his college days. Sadly, Robeson’s career was destroyed by vicious and racist-based actions on the part of the United States Congress, and aided by no less than Jackie Robinson. Bryant’s book not only recalls the kangaroo court proceedings of the House Committee that mistreated Robeson, but Robinson’s testimony that was used against him, something Robinson would later regret. Indeed as Bryant documents, Robinson became increasingly angry and bitter over the latter part of his life at what he deemed Major League Baseball’s hesitancy to give Blacks opportunities in management. Bryant doesn’t spare his criticism of either athletes or journalists/broadcasters whom he sees as complicit in hampering progress, and he’s particularly dismissive of such figures as O.J. Simpson, Tiger Woods and Michael Jordan, all of whom he feels became willing corporate pawns solely for profit. By comparison, he cites Lebron James and Carmelo Anthony among modern types who don’t let their desire for endorsements and commercials overshadow their social awareness or compromise their activism. Bryant doesn’t argue that every Black athlete HAS to be an activist, nor think a certain way. Rather he calls “The Heritage” a long history of struggle that transcends particular sports, but has involved a host of great performers. 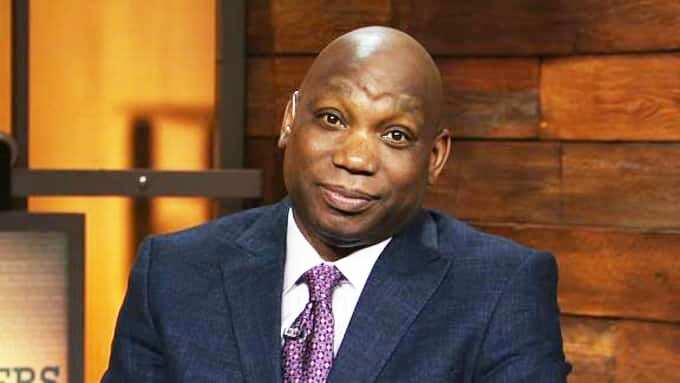 He considers Lebron James, Carmelo Anthony and others as simply continuing a tradition, and “The Heritage” is a major contribution to Civil Rights, political, journalistic, and athletic history.